Another Victim of the New Inquisition! Deary me. Another one sent to the stake by the New Inquisition of the New Orthodoxy. This time it’s poor old Rolf Harris – yes, he of the wobble-board and paintbrush fame. His crime? Questioning the New Orthodoxy on Indigenous Issues. The news of his heritical statement broke yesterday (see “Time to get off your arses: Rolf’s advice to aborigines”), and today the sentence was pronounced (see “Harris remarks spark outrage” and The Age editorial). I’m not saying whether what Rolf said was right or wrong, although I do think that he might have said the same thing without the help of the colourful colloquialisms he employed. What I’m commenting on is the fact that he has been treated in exactly the same way as Warwick Marsh of the Fatherhood Foundation. He has questioned the rules of the New Orthodoxy, and it’s straight to the stake. The fact is that when his comments are engaged and not simply rejected as an outrage, even his indigenous detractors have admitted some element of truth in what he said: Lowitja O’Donoghue (who thought that Harris has “some bloody cheek” to make such a suggestion) admitted that “Aborigines must help themselves” (which is what Rolf said in stronger language). “There are lots of people who get off their butts, as he says, and do things,” she said. And this is not to be denied but applauded and encouraged for the whole people. But Ms O’Donoghue goes on to say that “colonisation [read: you non-indigenous people being here] was the root cause for much of her people’s plight” and “Australia [ie. you non-indigenous people] needed to lift its game in how it dealt with indigenous issues”. Thus while admitting just what Rolf said, she continues to sing from the old song sheet of blame and victimhood. So while agreeing with Mr Harris in the first part of his statement, he too eventually falls back upon the old song sheet and starts singing of victimhood and blame. WARWICK Marsh, from the Fatherhood Foundation, said: “I hope we’re in a free society that still allows us to speak our mind” (The Age, 27/11). Well, you found out the answer to that question, didn’t you? Past Elder admits: "No Alternative to the Church"
I do not demand you change, nor do I characterise your ways as wicked, nor, although I think it would the best for you, do I seek to convert you to Lutheranism (that being the requested “alternative”). 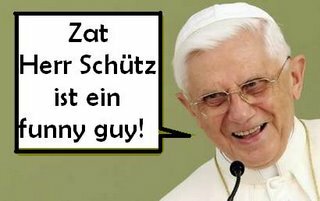 …A Catholic can have nothing to do with this preposterous and monstrous sham [“the post-conciliar entity travelling under the name “Catholic Church””], precisely for the sake of Catholicism and the Catholic Church. That’s it. As to what to do then, the “alternative”, I don’t know and I am not trying to encourage you to follow the path I did at all. For me, the utter violent and vicious apostacy of the Catholic Church to the Catholic Church itself was so intense as to render Christian belief impossible in any form for about twenty years. I am not saying you must do so too. The message is what I saw, not what I myself did about it. You may find another answer. Many have. If you want to find what I believe by the grace of God was shown to me as the answer, fine but I am not here to promote that, nor to challenge the Catholicism you seek, but to say for its own and very sake, what has been presented to you under the same name is nothing of the sort. …In fact, I do not believe there is another authority [for conscience other than the authority of the Church]. The solas I now believe are not understood apart from the church. My difference with the post-conciliar Roman church and, now, with the actual Catholic Church are not about the authority of the church at all, but about how does that authority, and that church, actually work out. I am not here to promote my answer for that. In other words, PE has not given up his belief in “the church” (small “c”). He believes that there is no longer any such thing as the “Catholic Church”, and he rejects the institution that contintues to go by that name today. He comments on this blog to convince us of this opinion. He wishes to open our eyes and to lead us out of the “tent of wickedness”. But to what? To leave us starving in the wilderness? He says that he does not comment on this blog “to challenge the Catholicism you seek, but to say for its own and very sake, what has been presented to you under the same name is nothing of the sort.” But, my dear PE, do you seriously expect us to accept your challenge, to admit that you are right, to leave “this preposterous and monstrous sham” when you give us no clue as to what the alternative may be? From your own experience, the only alternative was “to render Christian belief impossible in any form”. You don’t expect us to embrace an act that would have the same effect upon us, do you? But the fact is you now DO have Christian faith. Tell us how this is possible! Tell us – nay, enlighten us – we beg you, and lead us through the wilderness to the same verdant pastures that you yourself now enjoy. You still believe “the church” is an authority – thus you must have some experience of it, you must have some knowledge of it. Or is there indeed “no alternative” but the Church to which I now belong – the Catholic Church? For, even if the Catholic Church (ie. the institution that goes by that name today)is a “preposterous and monstrous sham”, yet, if beside her there is no “reality” to which I may turn as an alternative, then I have no choice but to abide by that choice I made eight years ago: to embrace her and all in communion with her and all her teachings as those of our Lord Jesus Christ himself. "Hey, come on in, we were just talking about you!" HT for this one to Fr Z. – Here comes the Son. HT to the Ironic Catholic for this one. Go here to unleash Myers-Briggs on your blog. My result was INTP, which is fairly accurate, except that I usually come out as an ENTP. My inner “I” is a significant reality in my life but I hide it under an outgoing, pleasant, charming exterior – my outer “E”(go). Solemn Mass in the Ordinary Form of the Roman Rite, “ad orientem”, in Latin with Gregorian Chant at St Brigid’s Fitzroy this Sunday! Solemn Mass in the Ordinary Form/Use of the Roman Rite (Novus Ordo) “ad orientem”, in Latin with Gregorian Chant at St Brigid’s Catholic Church, Fitzroy North On the last Sunday of each month. On the last Sunday of each month, St Brigid’s Parish offers Mass in a way that more closely follows the teachings of the Second Vatican Council in its document Sacrosanctum Concilium. 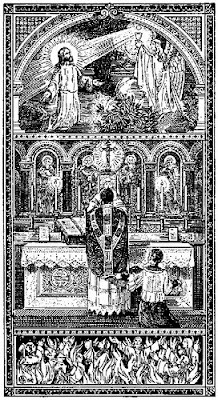 Solemn Mass in the Ordinary Form/Use of the one Roman Rite (the Novus Ordo) is celebrated in Latin, with Gregorian chant and in an “ad orientem” posture for the Liturgy of the Eucharist: where Priest and Congregation together face liturgical east toward the Tabernacle. John 10:10 in the Magisterium? A friend (currently working in the area of Catholic social service) just asked me about the meaning of John 10:10 “I came that they may have life, and have it abundantly.” The question was how this “life” refers to the quality or justice of life here and now. I won’t go into that right here, that’s for another discussion. We explored it a bit, and then I suggested, given the centrality of this verse to the whole of Christian faith and spirituality, that we look up and see how the Catechism uses it. Guess what. It doesn’t. No use or reference to it whatsoever. Anywhere. Not even in a footnote. Well, we gave the Compendium on Social Doctrine a go. Guess what. Nothing there either. But hold on a moment, surely Papa Benny said something about this in his latest encyclical “Spe Salvi”. After all, how could you say anything about the hope that the eschatological promise gives us for life here in the present without refering to this verse? from faith I await “eternal life”—the true life which, whole and unthreatened, in all its fullness, is simply life. Jesus, who said that he had come so that we might have life and have it in its fullness, in abundance (cf. Jn 10:10), has also explained to us what “life” means: “this is eternal life, that they know you the only true God, and Jesus Christ whom you have sent” (Jn 17:3). Life in its true sense is not something we have exclusively in or from ourselves: it is a relationship. And life in its totality is a relationship with him who is the source of life. If we are in relation with him who does not die, who is Life itself and Love itself, then we are in life. Then we “live”. 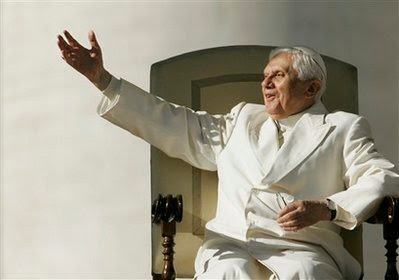 In fact, a google of “benedict XVI” and “john 10:10” turned up 2,270 results. Of course, the majority of these would be “repeat” hits of the same instances, but it is interesting to see how such a crucial verse – crucial also for the teaching of the present pope – is totally absent in the Catechism or the Compendium on Social Doctrine. Isn’t it? Comments Off on John 10:10 in the Magisterium? Marsh and Williams seem to have rather peculiar views on some male health issues. Worse than peculiar, actually. Downright evil is a term that springs to mind. Because they appear to have a problem with gay men. Marsh’s group has a website where it has brought together people “who believe in the natural biological family. The best way to protect children is for children to be brought up by a loving mother and father who are married.” On the site, you’ll find a quite loathsome document called “21 Reasons Why Gender Matters”. We will take a look at this “loathsome” document by these people with “peculiar”, “evil” ideas about the need for a child to have a loving mother AND a loving father in a minute (one notes, for the moment, that these evil people would obviously have a problem with that other marvel of modern morality, the Assisted Reproductive Treatment Bill 2008 waiting in the wings to be finally passed into law upon the Victorian people which actually legalises a situation in which children will NEVER have a legal mummy AND daddy), to give a bit of background to those beyond our borders. NICOLA Roxon has been embarrassed by the revelation that two men she appointed as health ambassadors put their names to a publication saying homosexuality is a mental disorder and gay people are more likely to take drugs and molest children. The Health Minister, who is under pressure to dump them, said last night she found the document “unacceptable and repugnant”. Two of the ambassadors — Warwick Marsh and Barry Williams — were listed as among 34 contributors to a paper published last year by the Fatherhood Foundation entitled 21 Reasons Why Gender Matters. Among its claims are that gay people are more likely to cheat and hit their partners than those in “normal” relationships. But Mr Williams, the president of Lone Fathers, said he did not write any of the paper, having merely provided advice on family law issues. He said he believed people “should be accepted the way they are born” and that he did not discriminate against anyone. Associate Professor Anne Mitchell, from Gay and Lesbian Health Victoria at La Trobe University, said the document amounted to gay-hate literature and it was not appropriate for its authors to be associated with promotion of men’s health. In news just coming in this morning, the Minister has since sacked Warwick Marsh (who refused to recant) but has allowed Barry Williams (who recanted under the threat of dismissal from his new position) to retain his position. Well, by this stage, I guess you are all just itching to see this “loathsome” “gay-hate literature” which is “down right evil” for yourselves. Here are the links: to the Website “Gender Matters” and to the document “21 Reasons why Gender Matters”. As soon as you open the document, you realise what this is about. There is a picture of a baby staring right at you. Yes, it is about procreation. About parenthood. And it is no suprise that a bloke who represents an organisation supportive of fathers and fatherhood would support such views. What, after all, has the gay lobby ever done for fatherhood? 1. Gender differences exist; they are a fundamental reality of our biology and impact our psychology. 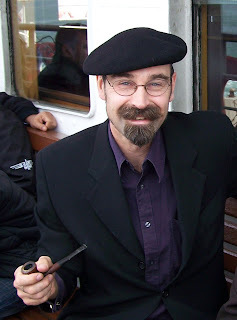 Our maleness and femaleness is a key aspect to our personhood. 2. Acknowledging, rather than ignoring (or worse denying), gender differences is the only intellectually honest response to this reality. 3. Gender differences are complementary; individuals, our collective humanity, and society as a whole, all benefit from masculine and feminine characteristics. We are better for having men with a clear understanding of their masculinity and women with a clear understanding of their femininity. 4. Gender identity confusion does exist in a small minority of individuals. It is a painful pathology and warrants a compassionate response. However it is not the ‘normative’ experience and is not therefore a paradigm upon which to drive social policy and institutions. Now all that, without going into detail on what the 21 reasons actually are (and they are all explained in detail – far more detail than the reports are allowing with their “sound bite” quotations – with footnotes and references) is simply to say that the authors of this document do not accept the “New Orthodoxy”. They do not hate homosexuals. They believe that homosexuality is not normal and that social policy should be based upon what is normal. However, the New Orthodoxy is that homosexuality IS normal. Anyone denying this is a heretic. And the heretics must burn. Thank God they didn’t appoint a Catholic priest to this group of Men’s Health Ambassadors. Because the guts of this “loathsome”, “down right evil”, “gay-hate literature” is exactly what the Catholic Church has been saying on gender issues for some time. John Paul II (in his Theology of the Body) was way ahead of these “Gender Matters” guys, but they’re singing from exactly the same hymn sheet. But then we live in a time when men (and women) call good evil and evil good. Repeat after me: “21 reasons why Gender matters” is “evil”. The Assisted Reproductive Treatment Bill is “good”. What wisdom. But simple wisdom. Foolishness, even perhaps. But the kind of foolishness which, in St Paul’s words, destroys the “wisdom” of the “wise”.